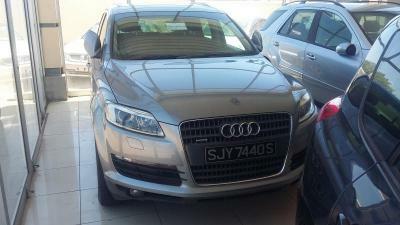 Want to buy Audi Q7 Audi Q7? 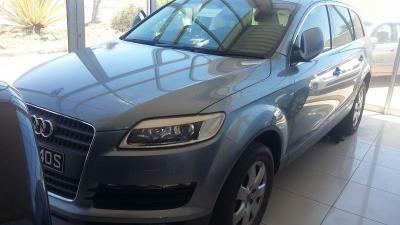 Audi Q7 Audi Q7 for sale in Gaborone, Botswana. This car has been manufactured in 2009 by automobile plant and been used for 96000 km (last known mileage). 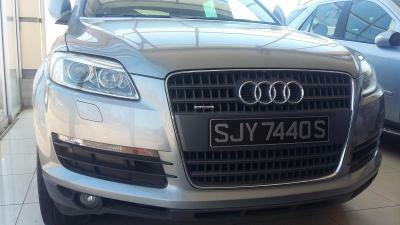 is with 3.0 litres engine and gearbox. 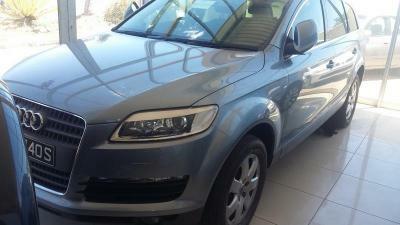 This second hand Audi Q7 Audi Q7 sold by Zillion Motors in Botswana and you can look at it and buy this Audi Q7 Audi Q7 model in Gaborone or request for delivery the vehicle to BotswanaSelling version has engine, interior and following options: Vehicles, New, Used, Imported, Local, Volkswagen, SUV, 4x4, petrol, Automatic, ABS, GSM telephone installation, Airbags, Electric windows, Power Steering, AirCon, Multifunctional steering wheel, ASR, SRS, Climate Control, Electric mirrors, Distance sensor system, Digital clock, Cruise control, Outside temperature sensor, On-board computer, Hands free equipment, Electrically adjustable steering wheel, Electric seats, Central lock, Immobilizer, Alarm, Original player, CD player, CD changer, DVD, MP3 player, Subwoofer, Radio, Sport seats, Heated seats, Ergonomic seats, Blind on the rear window, Xenon lights, Navigation, Extra Seats, ask for details. 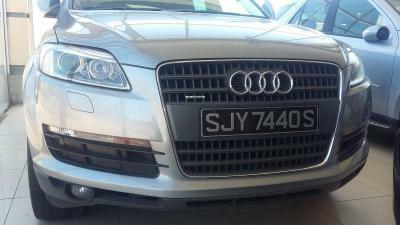 Wish you to enjoy your Audi Q7 Audi Q7 driving after buying! Botswana Auto Portal - Car Trader. Gaborone.